When CSX Corp. hired the legendary Hunter Harrison in March 2017, the company’s board of directors and shareholders took a gamble that he could remain healthy long enough to fulfill his four-year contract, despite his age, a medical leave of absence from a previous post in 2015 and knowledge that he used a portable oxygen tank due to shortness of breath. With the hire, the company also shelled out $84 million to Harrison for the money he forfeited when he left Canadian Pacific Railway in January 2017. The entire gambit came crashing down Dec. 16 when Harrison, 73, died. His sudden demise raises questions about whether it was smart for the CSX board to succumb to the pressure from activist investor Paul Hilal to hire Harrison. Hilal raised more than $1 billion through a hedge fund — Mantle Ridge — and bought a 5% stake in the railroad company. 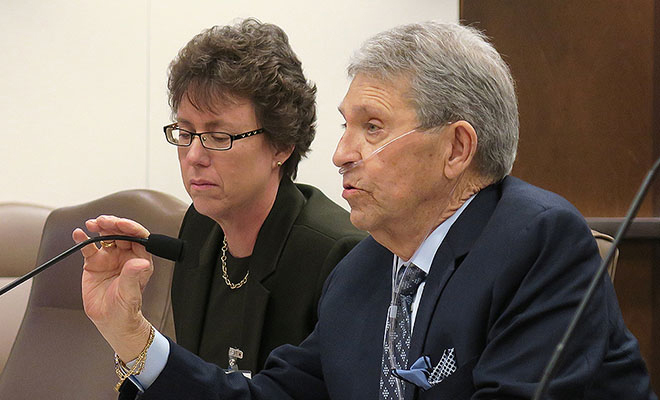 The board also capitulated when Harrison refused to allow an independent physician to review his medical records, even though he contracted pneumonia and underwent surgery to implant stents in his legs in 2015. Had CSX not done so, Hilal could have begun a nasty proxy battle to get shareholders to elect a whole new board. Harrison became CEO of Canadian Pacific through a proxy battle in 2012 orchestrated by hedge fund manager Bill Ackerman. The CSX situation demonstrated the leverage Harrison carried after successfully turning around three railroads in his career, a concept known as “CEO Celebrity,” according to experts. “Researchers have studied this for many years, focusing on figures such as Bill Gates, Warren Buffett and Steve Jobs. And what they find is that CEOs with a high degree of celebrity do have a level of privilege that the typical CEO would not. At the same time, they get a level of scrutiny that a typical CEO would not,” said Dave Ketchen, professor of management and research director at Auburn University’s Lowder Center for Family Business and Entrepreneurship. He said that the board likely would have pushed back harder against a candidate with a less established reputation than Harrison, although he cautioned that board members also could have been concerned with facing accusations of ageism. There also are questions about whether there were enough disclosures about Harrison’s health to allow shareholders to make informed decisions along the way. But medical disclosures are weighed against the right to privacy and other protections under the Health Insurance Portability and Accountability Act (HIPAA), according to Charles Elson, director of the John L. Weinberg Center for Corporate Governance at the University of Delaware. “Given the controversy over his compensation and the shareholder vote, his presence was considered of significance to the investor. In other words, since certain CEOs like Steve Jobs are so critical to the company’s success, their health and ability to carry out the position becomes relevant,” he said. Allan Horwich, a partner with Chicago law firm Schiff Hardin, noted that the Securities and Exchange Commission doesn’t have a rule that a company must disclose health issues in the same way as compensation and stock transactions. “An issue arises, in my judgment, if the company said something that directly or impliedly vouched for somebody’s good health while knowing at the time that person was not in good health,” he said.